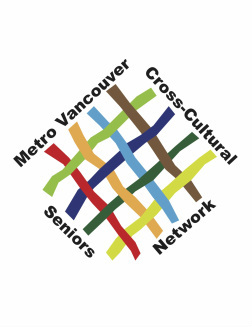 We are cross-cultural seniors and senior-serving organizations in Metro Vancouver. We come from diverse cultural backgrounds. We are committed to the principles of cultural diversity. We work together to connect with cross-cultural seniors and to strengthen the seniors' community. We work to enhance civic participation, engagement, and involvement of cross-cultural seniors. We support the inclusion of all voices in information, education and advocacy. We work to increase access to information and services for cross-cultural seniors. We share information and discuss issues that impact all seniors. We meet on the 2nd Monday of the month, September to June, 10 am to noon. We meet at Sunset Community Centre, 6810 Main Street, Vancouver, BC.